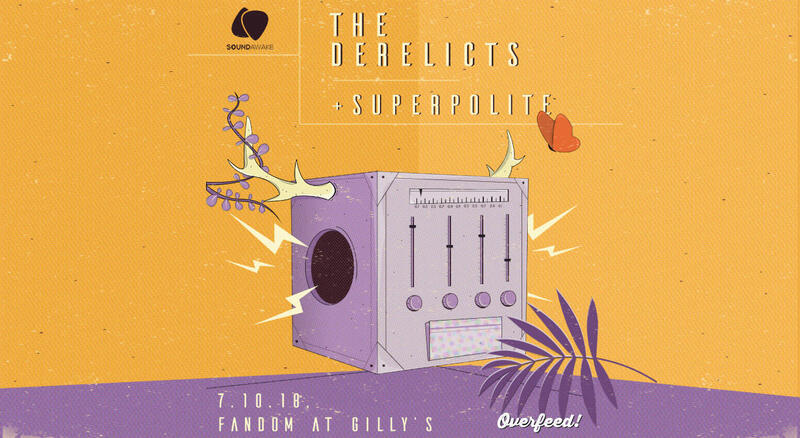 Hailing from Kochi, India, The Derelicts is an Alternative/Disco/ Electronic band which has been described by listeners and critics alike as a band with unique sonic textures. They released their single ‘Happy Sad’ from their debut, self- titled, EP on 23rd March 2018 through Overfeed Records. It has been raking in rave reviews from listeners all over. The single was featured on RollingStone as an exclusive premier on 22nd March 2018. Their second single from the EP, ‘Jennifer’, was released as an exclusive premiere by Earbuddy, the USA on 25th May 2018. Their self-titled debut EP was released on 29th June 2018, as an exclusive on iTunes & Apple Music. Superpolite is the audio-visual project of producer, visual artist & multi-instrumentalist Harikiran Menon. Based out of Kochi, Superpolite’s music is an absorbing mix of electronica, chill-wave, house & ambient music which comes out as an EP in Oct on Overfeed Records. After collaborating with artists like Black Letters & The Derelicts on live visuals and music videos, superpolite’s own audio-visual experience is deﬁnitely something to behold on his live shows.